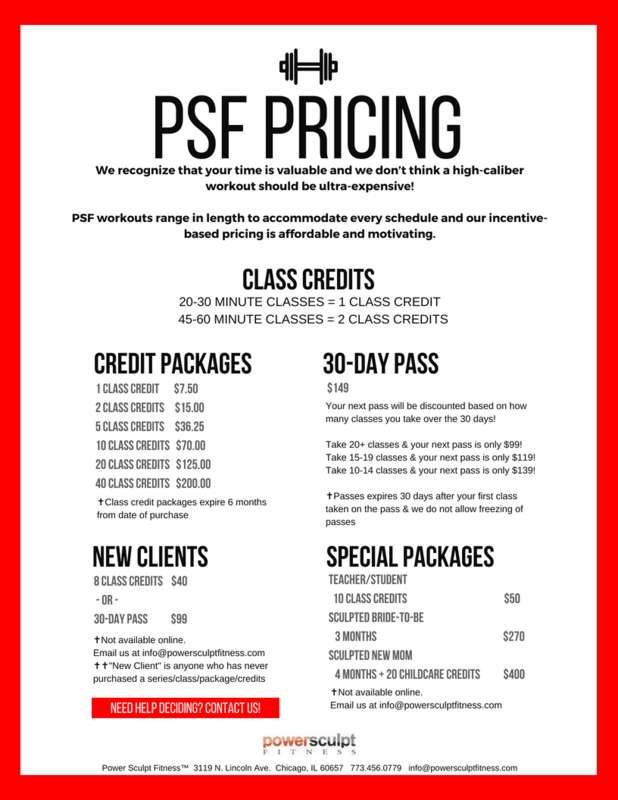 All Power Sculpt Fitness studio classes are held at 3119 N. Lincoln Ave. in Chicago. If you are attending an indoor cycling class, please enter at our Power Cycle entrance located at 3120 N. Greenview. WHAT CAN I EXPECT AT CLASS? An incredible workout! Most all formats consist of resistance training designed to completely reshape each muscle group, along with cardio bursts designed to burn a ton of calories. Awesome music and always challenging, our classes will leave you feeling accomplished! See our Schedule for specific class descriptions. IS THIS FOR ANY FITNESS LEVEL? PSF classes are challenging because they work! Most all of ourclasses are suitable any fitness level and appropriate modifications can be provided. Always let us know if you need specific alternatives to any exercise or have any limitations. Your instructor will encourage and challenge you while insisting you listen to your body. If you’re still unsure, try an Express class first – they aren’t necessarily ‘easier’ but they are shorter. Contact us any time for specific class recommendations. Comfortable workout clothes and appropriate athletic cross-training shoes (our barre, pilates and yoga classes do not require shoes). If you are taking a cycling class, our bikes accept shoes with SPD clips. A water bottle and a towel – everything else is provided! If you are pregnant or have a medical condition, be sure to bring a required physician release before your first class so you can participate. If you try to register for a class and the class is full, then you will be given the option to join the waitlist. Only sign up for the waitlist if you plan on being able to take the class as it should be viewed equal to making a reservation. We automatically add people from the waitlist once a class spot opens up to 2 hours before the class start time and at any time of the day or night. You can check your waitlist status by visiting your account. 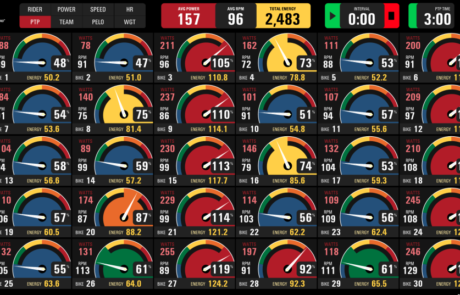 DO YOU HAVE HEART RATE MONITORING? Yes! 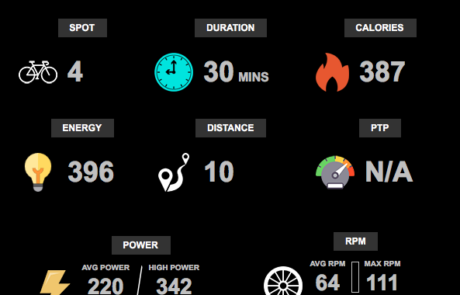 Our bikes, cycling performance system and main studio system all read ANT+/Bluetooth heart rate monitors. We sell heart rate straps at our front desk. 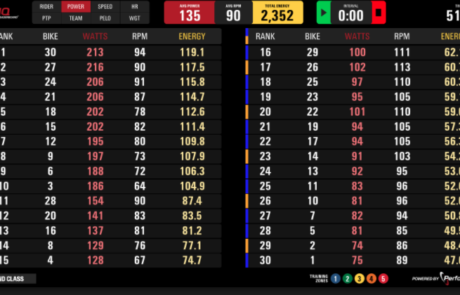 Before your session, register your heart rate strap with your instructor and you will receive not only heart rate feedback during your workout, but post-class you will receive an email summary of your average and maximum heart rates, how long you worked in each of your age-specific heart rate zones and calories burned. 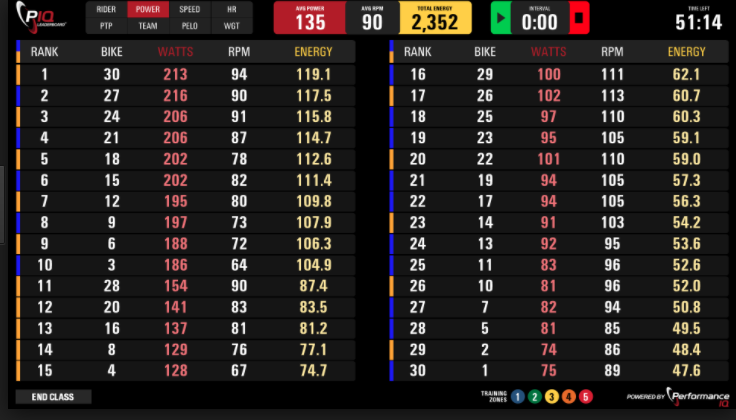 DO YOU HAVE CYCLING PERFORMANCE DISPLAYS? Yes! 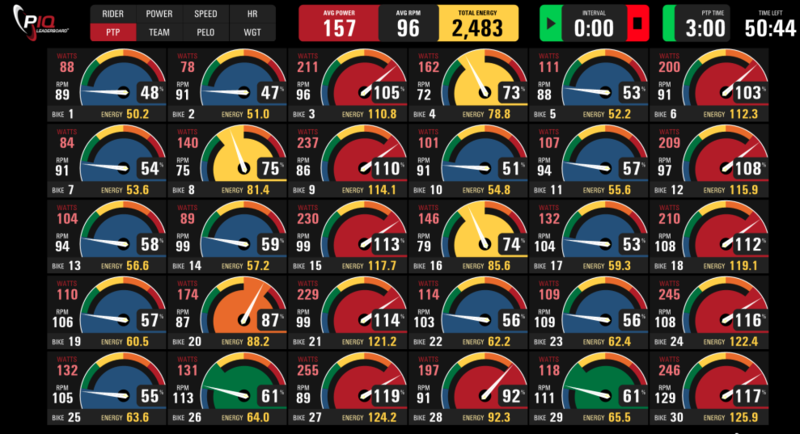 Our cycling studio is equipped with monitors that display each bike’s performance metrics in real-time. This allows for an enhanced workout experience…and quicker results! 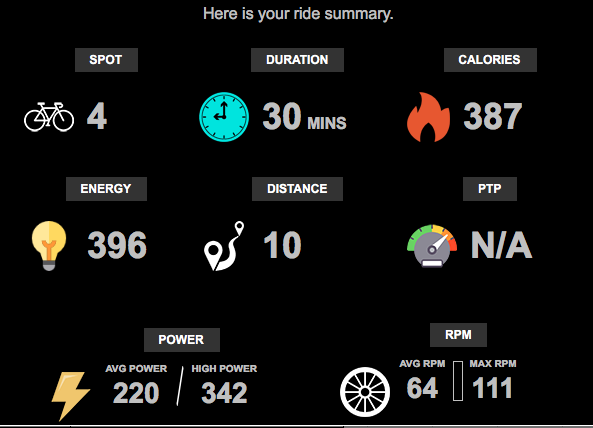 After each cycle session you will receive a detailed email with all of our workout stats. DO YOU HAVE NUTRITION PROGRAMMING? Yes! We work closely with our culinary dietitian Sara Haas, RDN, LDN to formulate complimentary nutrition challenges, disperse amazing recipes and offer diet motivation. In addition, we offer individualized meal plans and accountability through our unique programming. CLICK HERE to learn more.